The first F35 fighter jets will arrive in the UK next month, two months ahead of schedule, the Defence Secretary has announced. Four of the cutting-edge fighters will fly trans-Atlantic from their current home in the US, with several air-to-air refuelling serials en route and will be based at RAF Marham in Norfolk. 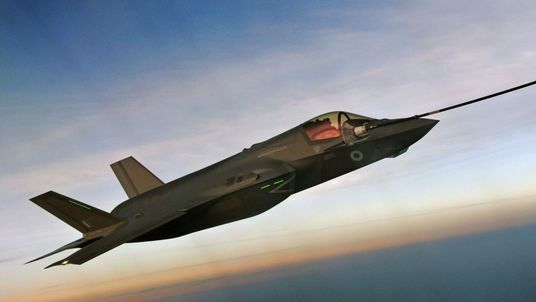 The new F-35 aircraft will be flown by pilots from reformed 617 Squadron, the same squadron that flew the Lancaster bombers in the famous 1943 Dambusters raid which used Barnes Wallis' revolutionary bouncing bombs to disable Adolf Hitler's industrial heartland. The news was announced by the Defence Secretary Gavin Williamson on the 75th anniversary of the daring night-time mission.